Every date with the beloved person is special and one has to make arrangements to make every day memorable. One of the most common ways to impress the beloved is to arrange a special romantic dinner. It is undoubtedly a typical idea for a date, and will definitely impress the partner when it is arranged in a unique way. In order to impress your partner, it is important to understand what he/she likes, and the planning has to be made accordingly. There are lots of factors that have to be considered in order to create memories for life between the couple. There are many ways by which you can make your dinner date perfect. It is not necessary to choose a five-star restaurant and spend lavishly on the dinner date. Rather, focusing on simple factors and adding your personal touch are what required. 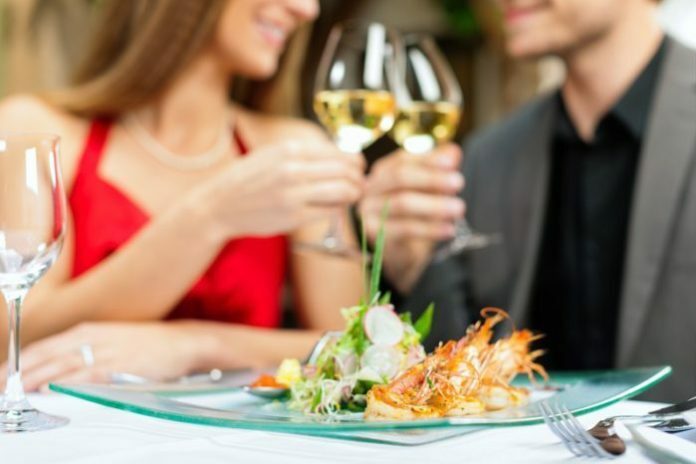 Let us have a check on some vital considerations to find best romantic dinner restaurants. Ambience of the restaurant: As always said, first impression is the last impression. The moment you step in the restaurant, you and your beloved should feel the positive vibe. Check if the restaurant you are going to select for a date is calm and offers props such as a garden area, a fountain or waterfall on side, or has any special theme. A romantic surrounding is important for a romantic date in a restaurant. Do not choose a place where there is noise or foul smell, it will surely fail all your planning for the night. Lighting of the location: One of the most important aspects of a romantic place is lights. Choose a restaurant that has dim lighting features that immediately creates “love is in the air feeling”. Soft lights and fragranced candles will surely enhance the atmosphere in a restaurant making it an exclusive place to spend quality time with the partner. It is also important to note that too many lights and candles can spoil the mood of a romantic dinner, hence keep in mind to be selective. Food quality: One of the main purposes of a dinner date is to have food. It is vital to focus on the food quality and variety when you are taking your beloved on a date. Try to know your partner’s favourite cuisine beforehand and select a restaurant that offers the same. In addition to this, there should be a variety of choices offered to you not just in terms of food but also with respect to drinks. There can be compromises made with respect to the ambience but never with the food. Check out the reviews given by the customers before booking a table in the restaurant. Service provided by the staff: While choosing romantic dinner restaurants, keep in mind about the service offered by the staff. The staff should be trained, qualified and well behaved. They should be offering privacy to the couple to make them comfortable while on a date. Rude and unfriendly staff may ruin your plan and your romantic evening with your partner and make you angry. Therefore, before the actual date, it is necessary that you visit the restaurants and have a check on the waiter’s and staff’s behaviour. You need to research on the web, shortlist few restaurants and visit each of them to experience the above-mentioned factors. Once you find everything to be perfect, make advance booking for the table so that you do not have to keep your partner waiting.